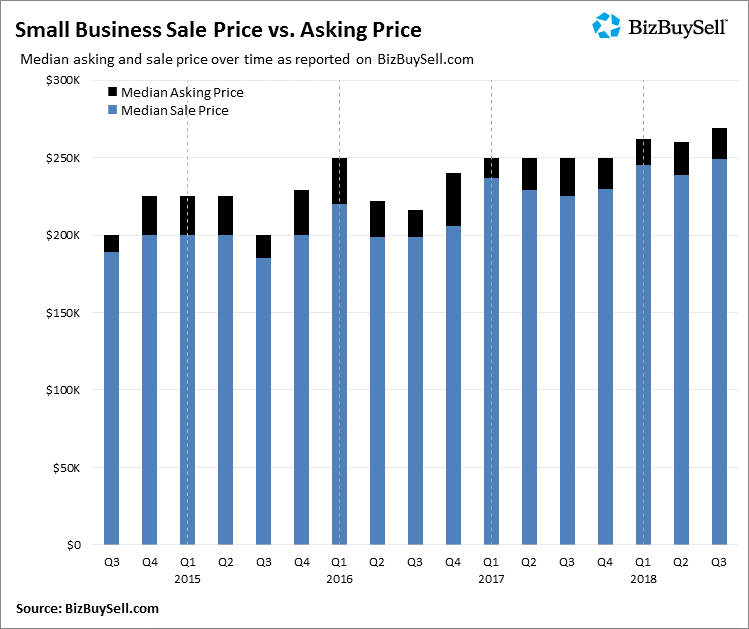 Every quarter, BizBuySell releases their market “Insight Report”, analyzing the sale and listing prices of small businesses across the United States. In the third quarter of 2018, the reports are showing a record-breaking increase in the sale price of businesses on average. At $249,000, the median sale price for all businesses analyzed has risen 10% from 2017. 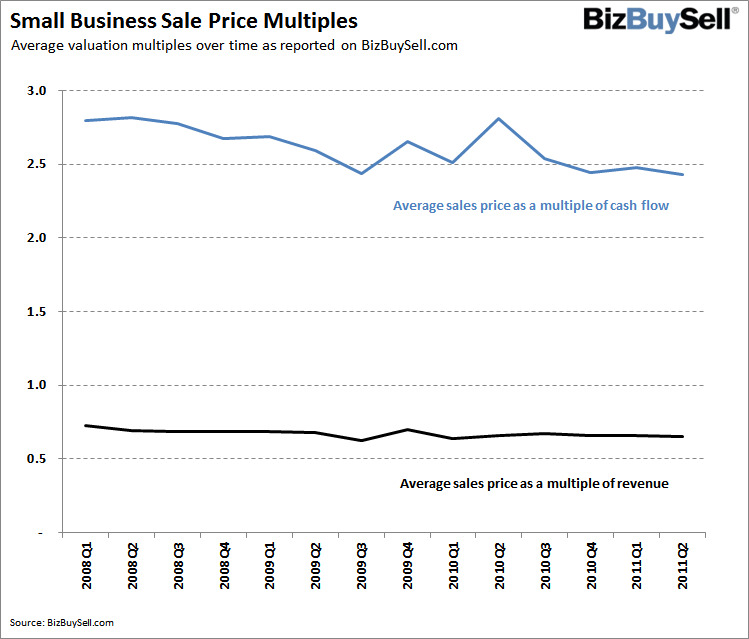 This marks the highest median sales price ever recorded by BizBuySell. As a reference for just how shocking that growth is, consider that in 2010 the median sale price was hovering around $150,000. Today’s report of $249,000 is an increase of roughly 56%. And this trend is not just for the smaller businesses. Larger businesses in the lower-middle-market have also seen unprecedented demand. The number of private equity groups with secured funding has continued to skyrocket, with many firms accepting minority positions in their acquisitions. Less than 10 years ago this was completely unheard of. In other words, there is a lot of money sitting on the sidelines. Why is 2018 so much better? The most notable factor we can identify is business profitability. As the U.S. economy continues to improve, consumer spending is up and businesses are simply doing better. We draw this conclusion based on 2018’s average multiple of cashflow. 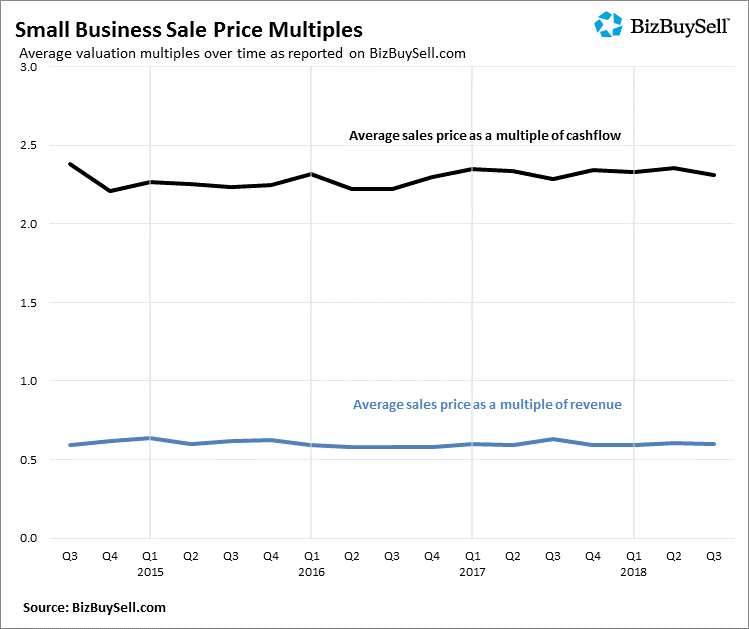 Between 2010 and 2018 the average valuation multiple has changed very little. 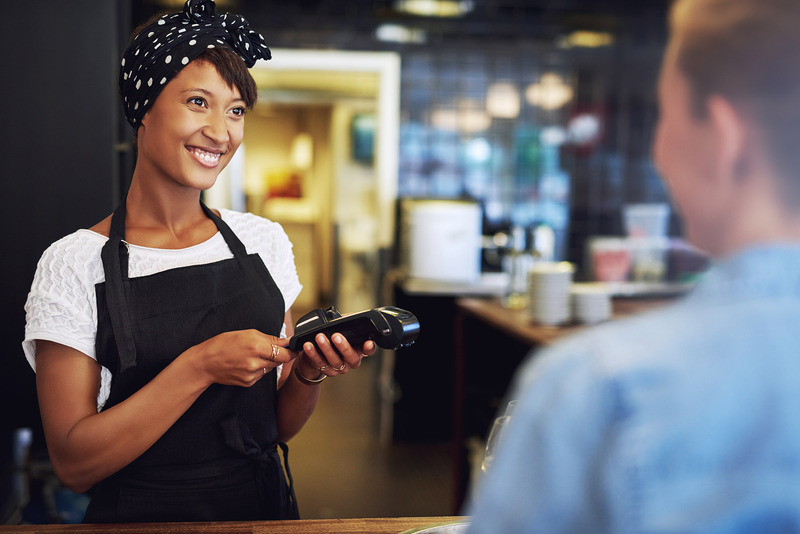 Since businesses are usually priced on a multiple of cash flow, it stands to reason that cashflow must be responsible for the increase in median sale price. However, cashflow is not the only factor at play. The 2018 Insight Report also shows that on average buyers are paying 93% of the asking price. This is up nearly 10% from 2010’s average of just 84%. Here, we believe the two most influential factors are optimism and competition. Because of US economic growth, there are more buyers in the market and those buyers are more receptive to risk. This is creating higher competition for good businesses which reduces the amount of leverage buyers have in negotiations. There's just not much wiggle-room when you've got a line of buyers waiting to take your place. Speaking purely from a financial standpoint, we believe there has never been a better time to sell your business. All we can say is that on average, businesses are selling for more money today than ever recorded – and there’s no telling what the future holds. What should I do if I’m thinking about selling? If you’re starting to think about selling your business, there’s only one place to start – a business valuation. This will give you a clear picture of where you stand and help you decide if now is the best time to sell. For anyone interested in learning more about the value of their business, feel free to reach out to MidStreet for a free business valuation. 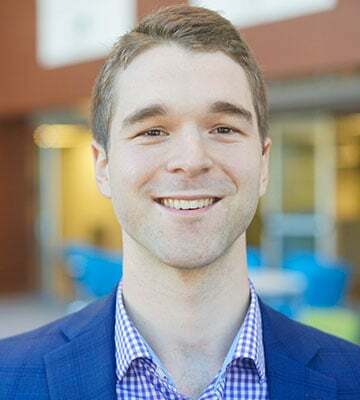 Our professional valuation process will help you understand the most probable selling price of your business, based on three industry-leading valuation techniques. Feel free to contact us today if you have any questions about the best time to sell your business, a free valuation, or you’re just interested in learning more about the process.